A good IDE is important for developer productivity. IntelliJ is currently one of the leading IDEs and supports many programming languages. In this tutorial, we’ll start with some of the basic configurations in IntelliJ, focusing on the Java programming language. We’ll also list the most common shortcuts in IntelliJ for boosting developer productivity. First, we need to download and install IntelliJ for our platform. For the features that we are going to go over, either the Ultimate or Community edition will do great. IntelliJ is written in Java and comes with a packaged JRE for running the IDE. However, we’ll need to configure IntelliJ with a JDK to do any Java development. It can be configured either globally or per project. 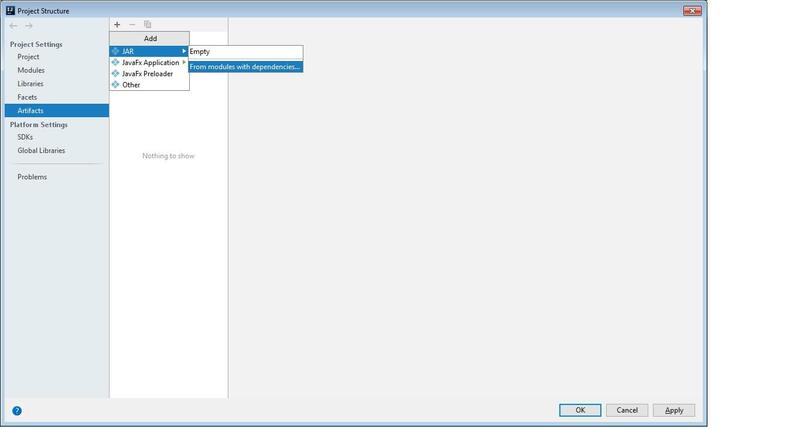 The easiest way to find the Switch IDE Boot JDK option is from the “Find Action” wizard. We can get there from the Help menu or by typing Ctrl+Shift+A or Cmd+Shift+A. Usually, it will list every installed JDK and allow us to choose the desired one. Next, we’ll create a new Java project. Next, we’ll select Java in order to create a simple Java project. 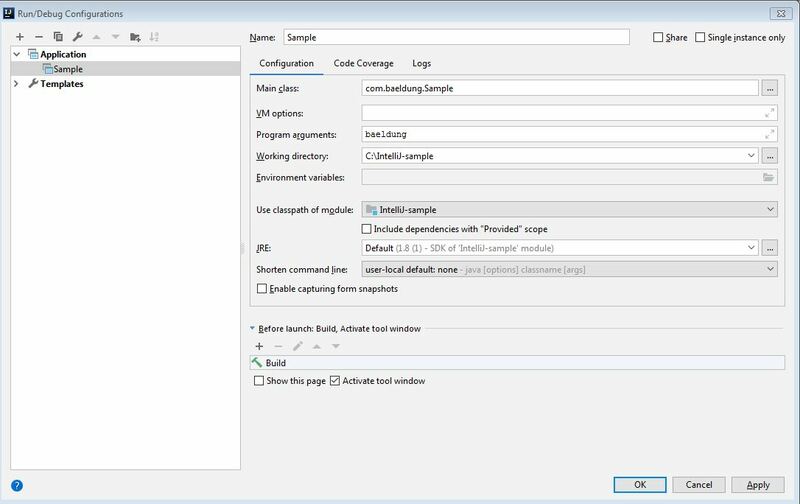 Additionally, this window allows us to configure a project-specific JDK if we want to. On the next screen, IntelliJ provides template projects like Hello World as a starting point, but let’s just select Finish and get started. A Java project usually depends on a lot of external or third-party libraries. And while Maven and Gradle are the typical go-tos for managing this, let’s take a look at how to do this natively in IntelliJ. Let’s say we want to use the StringUtils API from the commons-lang3 library. Like the JDK settings, we can also configure libraries at global and project level. Global libraries are shared by all projects. 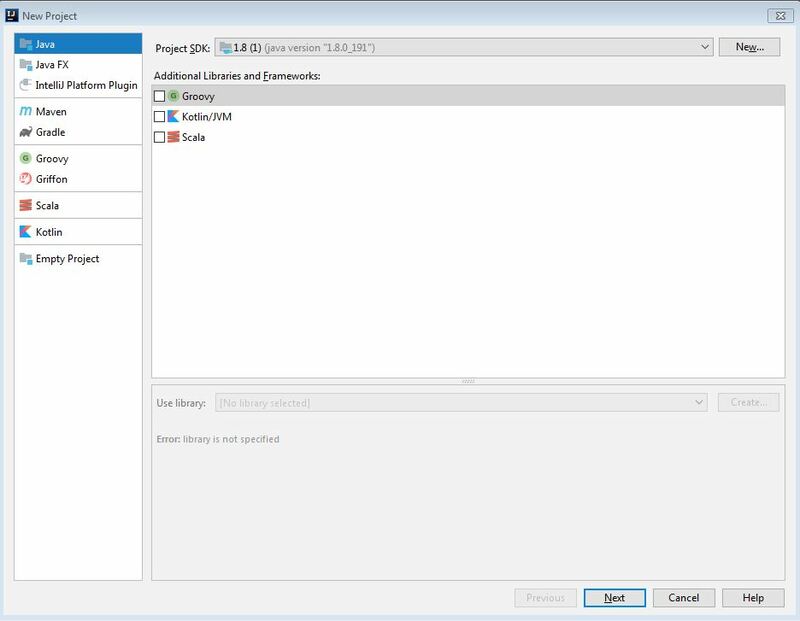 Both global and project specific libraries can be added by accessing the Project Structure dialog (File->Project Structure). In order to add the library, we must download it first. 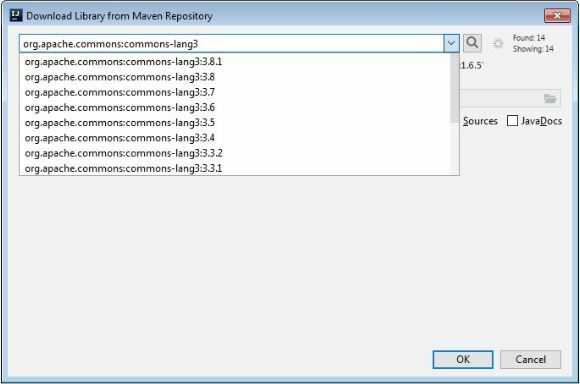 Normally, the common source for any external library is the Maven Repository. Hence, IntelliJ allows us to download it directly from any pre-configured Maven repository. And of course, if no repository is configured, it will search the Maven Central. IntelliJ will now download the commons-lang3.jar into a specified folder. Along with that, it also adds it to the project classpath. Of course, remember that adding a library this way is IntelliJ-specific and not as portable as more robust options. It’s convenient, though, for simple projects. In the next section, we’ll use this library and execute a simple Java program. Now, there are 2 approaches for running this main method in IntelliJ. Firstly, we can simply run Ctrl + Shift +F10 or Control + Shift + R/D from the main class. IntelliJ will then create a temporary Run configuration. However, since we have to pass a String to our StringReversal application as a program argument (the args part), a temporary run configuration won’t work. So, we can create a permanent Run/Debug Configuration. Here, we specify the name of our class to run in Main Class. It needs to have a main method for this to work. We’ll also pass a String – “baeldung“, in this case – as a Program Argument to our application. And, while we won’t demo this here, we can also configure JVM options and environment variables, too, for our application. Contrary to temporary run configurations, IntelliJ saves this configuration and allows us to execute it any time with a click of a button. IntelliJ has great support for debugging many languages. Let’s debug our String Reversal utility as an example. Now, we can debug the class by clicking on the debug icon from the Run/Debug configuration. In this case, the program is suspended at line 9 as shown above, allowing us to inspect the thread stack, inspect variables or even evaluate expressions (Alt+F8 or Option/Alt + F8). At this point, we can either Step Into (F7) the StringUtils.reverse() method, Step Over (F8) the line or Resume Program (F9), meaning run until either the next breakpoint or until the end of the application. A breakpoint can have conditional logic, too. We can view and configure all the breakpoints in a project in the Breakpoints dialog Run->View Breakpoints (Ctrl+Shift+F8 or Cmd+Shift+F8). Now that we’ve tested, debugged and fixed all the issues, we are ready to ship our application. Therefore, we need to create deployable binaries for our application. We can create deployable .jar binaries in IntelliJ automatically. First, in the Project Structure (Ctrl+Alt+Shift+S or Cmd+;), we need to declare a new artifact. We select “Artifacts” and then click the plus button. Next, we’ll go back to our Run/Debug Configuration dialog. There, we need to add a Build Artifact task in the Before Launch window. As a result, a new executable jar is created for our application every time we execute our Run/Debug configuration. Again, building artifacts is not IDE-agnostic. This mechanism is specific to IntelliJ. A build management tool could be a better approach, similar to what we discussed for dependency management. The shortcuts are really useful in boosting developers productivity. The following is a quick cheat sheet for the most common ones. In this article, we looked at some basic configurations in IntelliJ. As an example, we created a Java project, added libraries, debugged it, and created an artifact, all in IntelliJ. Lastly, we looked at shortcuts for some common actions. I love IntelliJ for the shortcuts it provides when we want to wrap the return value for sysout. It’s done like: methodName().sout[enter] or when assigning return value to local variable: methodName().var[enter]. I believe it might be worth to mention. Another thing is live templates, but it probably requires separate article. Thanks 🙂 I’ve added your suggestions to the Shortcuts section.